I’ve started my own company! It´’s been awfullt silent for quite a while now! I´ve started my own company, gotten married and been on honeymoon. Here you´ll find information (in swededish) about Unified Communications, Infrastrucure and things that matter. This download includes all available updates for Lync 2010 Group Chat. This download includes all available updates for Lync 2010 Group Chat Admin Tool. This download includes all available updates for Lync Server 2010 Group Chat. This download includes all available updates for Lync 2010 Attendant. Please be aware of that this client is not from the Microsoft Lync Product team, their client haven´t yet been released. In my previous blog post you can read more about Microsoft’s official statement on Lync clients for mobile devices. Kirk Koenigsbauer, corporate vice president of the Office business productivity group reweled some interesting facts during his keynote at Enterprise Connect in Orlando “We have a strategy that says best and first on Windows,” he said, with clients for iPhone, Android, and Nokia to follow (wonder how long the Nokia client will be maintained). The “unofficial” Lync client for WP7 is now available on Marketplace. Note that backend and gateway services is required. The same developer team seems to be working on a Lync client for iPhone…cool! 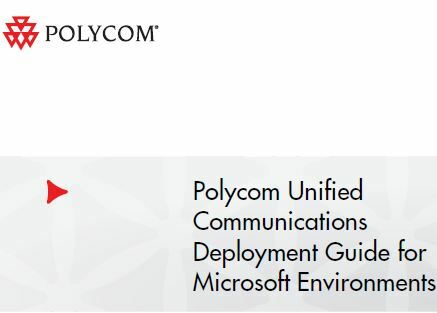 Polycom has provided Lync integration for a while now, now the fully supported clients are available for download. In the next minor update, (Wave 4.1) native RT-video (RTV) support is included. This means that the Polycom HDX can talk directly with the Lync MCU – offering 720p HD video from Lync client to Polycom HDX endpoint without any additional hardware / gateway. Read Jeff Schertz excellent blog post for additional information!